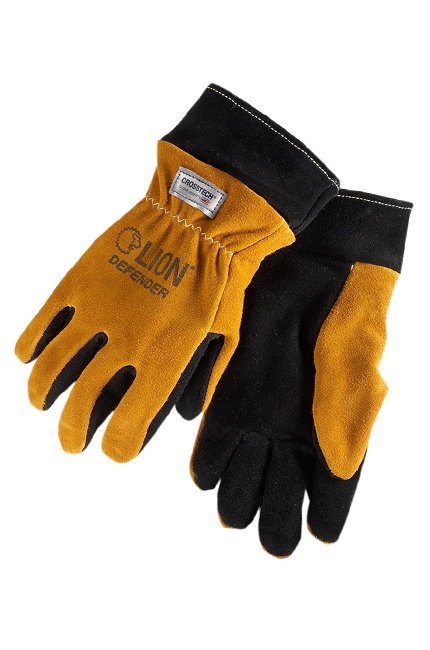 Lined with comfortable materials and secured with leather, the Defender gloves from LION offer protection without added bulk or cost. 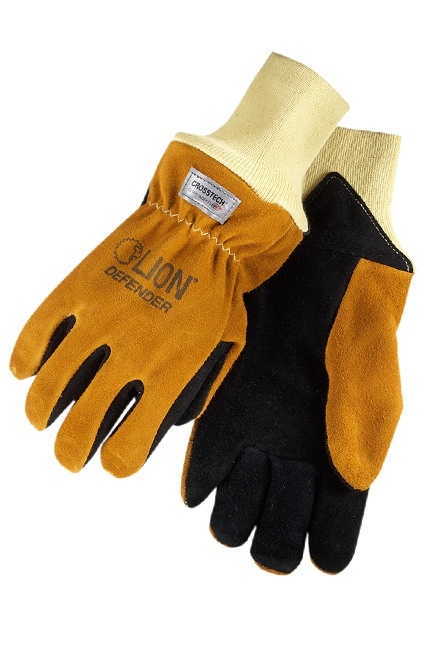 Leather Construction: Leather exterior provides protection with less bulk than standard issue gloves. Soft Lining: Lined with cotton blend material for comfortable wear. Water Repellent: Protects your hands while keeping water out. Wide Range of Sizes: Available in size 2XS to 4XL. NFPA 1971 Certified: Manufactured to NFPA 1971 standards for your safety. Crosstech® Insert: New technology provides better protection with less bulk. Eversoft Thermal Split Leather: Keeps your hands protected from heat and abrasion. Wrist Protection Options: Choose from leather gauntlet or Kevlar® wristlet.